EVERYONE is musical. YOU can learn to play the piano. Whether you are beginner or have played before, you can learn more about music, and play more songs than you ever imagined at JUST PLAY PIANO STUDIO. No need to learn to read the music first. JUST PLAY and learn to read later! 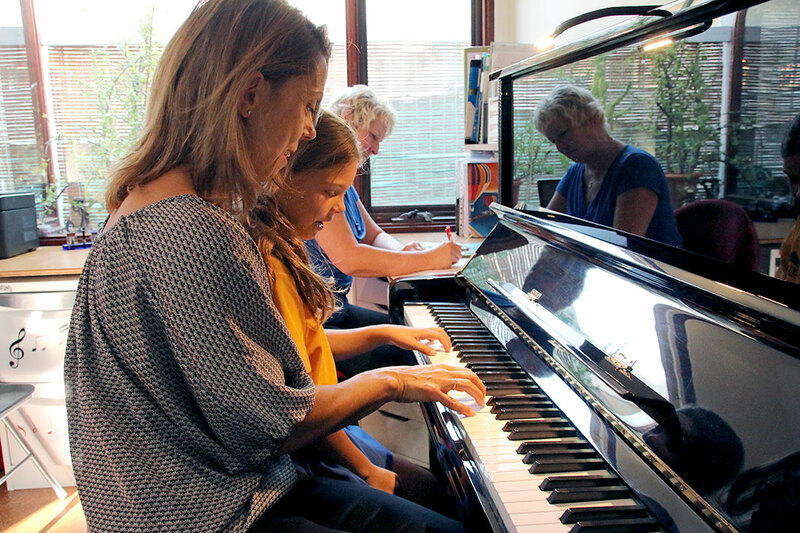 Just Play Piano Studio uses the unique Simply Music® method for learning piano, which has people of all ages playing great sounding songs from their very first lessons. 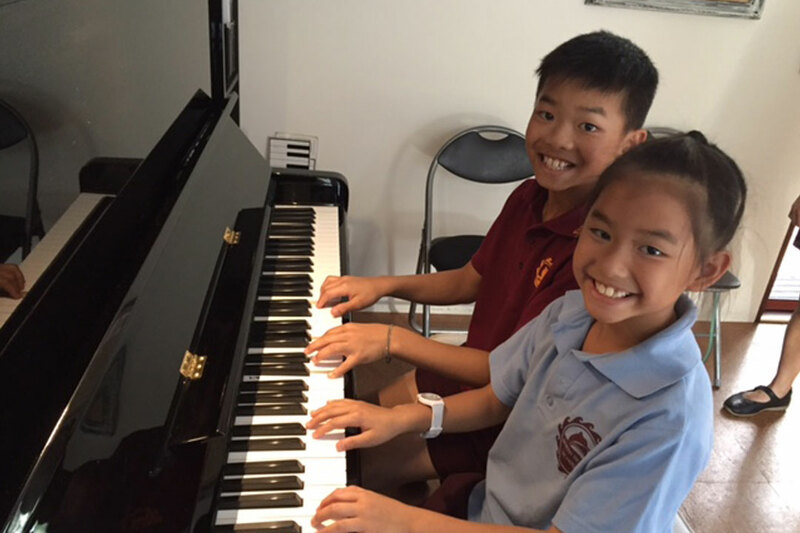 Just Play Piano Studio is located in Joondanna Western Australia, just 5 minutes north of the Perth CBD. 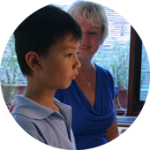 Lesson suitable for Children and Teenagers, Adults and Seniors as well as shared lessons for families and friends. So whether you are 7 or 97 years old, we can tailor lessons for you. Private and shared lessons are conducted once a week throughout the school term. 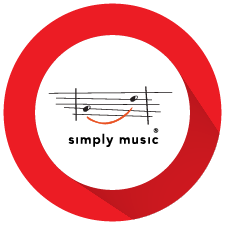 The Simply Music® method of learning piano is a ‘playing based’ program, and begins by translating pieces of music into a unique series of simple concepts that unfold directly onto the keyboard. 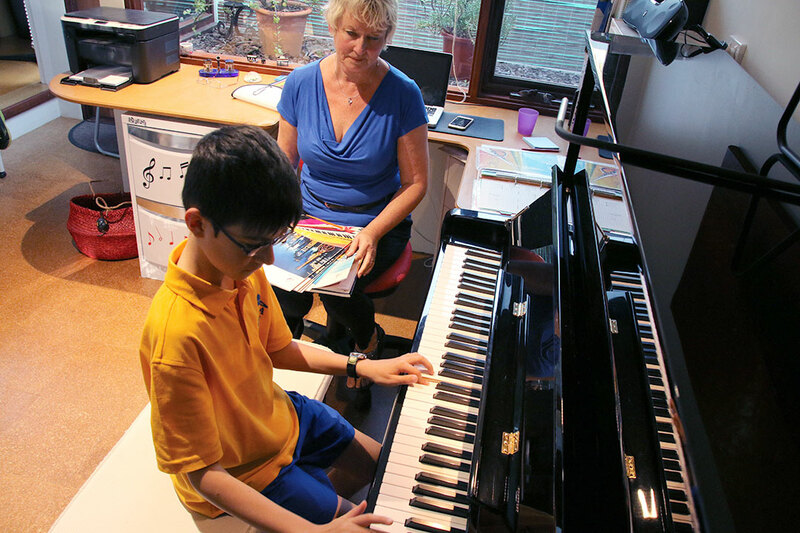 Just as a child learns to talk before they learn to read, students are free to relate directly to the piano, with no immediate focus on having to read music. 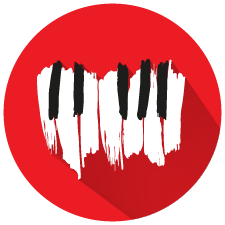 Start playing piano from your very first lesson and benefit from Georgia’s 20 years experience teaching piano. 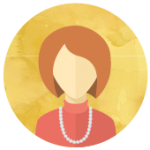 Start playing piano from your very first lesson and benefit from Georgia’s 20 years experience as a Simply Music® Advanced Teacher. 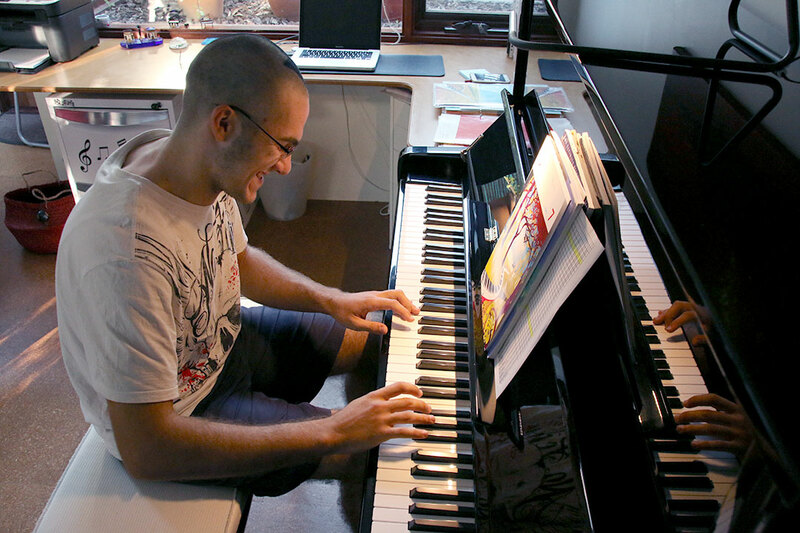 We cater to students with prior experience of all ages, so even if you’re a proficient pianist, you’ll benefit from the unique aspects the Simply Music® program has to offer. I just want to keep playing! I started learning to play the piano with Georgia using the Simply Music method 8 years ago at the age of 38. From the very first lesson I was actually playing a piece of music. 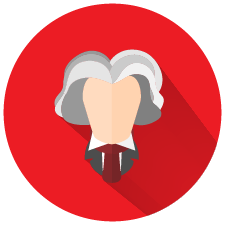 Georgia’s music knowledge and teaching style encourages me to perfect each piece of music I am learning. 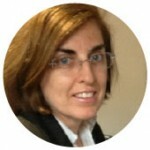 Her patience, flexibility, and compassion shown to me as an adult student is unrivalled. 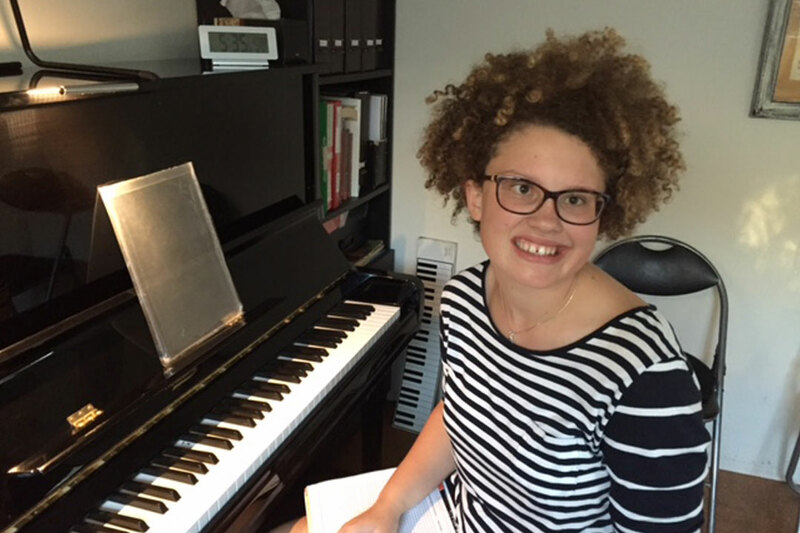 I would recommend Georgia to anyone of any age looking to learn to play the piano. I was delighted to be able to play a tune after my first lesson, both hands!! I always dreamt that one day I would be able to play just a simple tune on the piano. 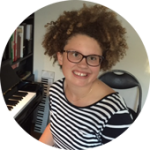 When I started Simply Music lessons with Georgia, I was delighted to be able to play a tune after my first lesson, both hands!! The lessons have continued with great pleasure and enjoyment. I now have a play list that includes blues, pop, classical and chords and have also learnt to read music. A huge thanks to Georgia for her constant encouragement and love. I always dreamt that one day I would be able to play just a simple tune on the piano. 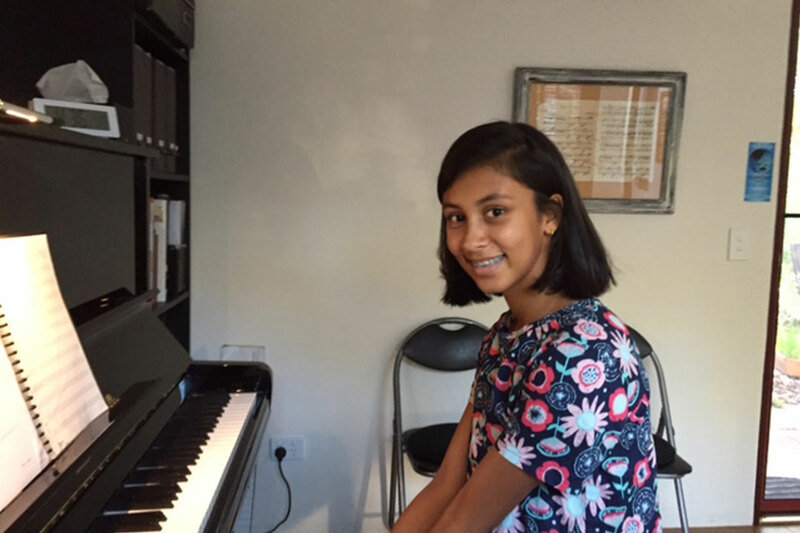 When I started Simply Music lessons with Georgia, I was delighted to be able to play a tune after my first lesson, both hands!! The lessons have continued with great pleasure and enjoyment. I now have a play list that includes blues, pop, classical and chords and have also learnt to read music. A huge thanks to Georgia for her constant encouragement and love. The need for learning music appeared to me in my mature age. Simply Music makes the learning process exceptionally easy, almost effortless. Every week I wait in anticipation for my next class, so I can learn more and more. I enjoy every moment of it. Since I started learning music I can hear, see and feel "things" I never expected I would. The need for learning music appeared to me in my mature age. Simply Music makes the learning process exceptionally easy, almost effortless. Every week I wait in anticipation for my next class, so I can learn more and more. I enjoy every moment of it. Since I started learning music I can hear, see and feel "things" I never expected I would. 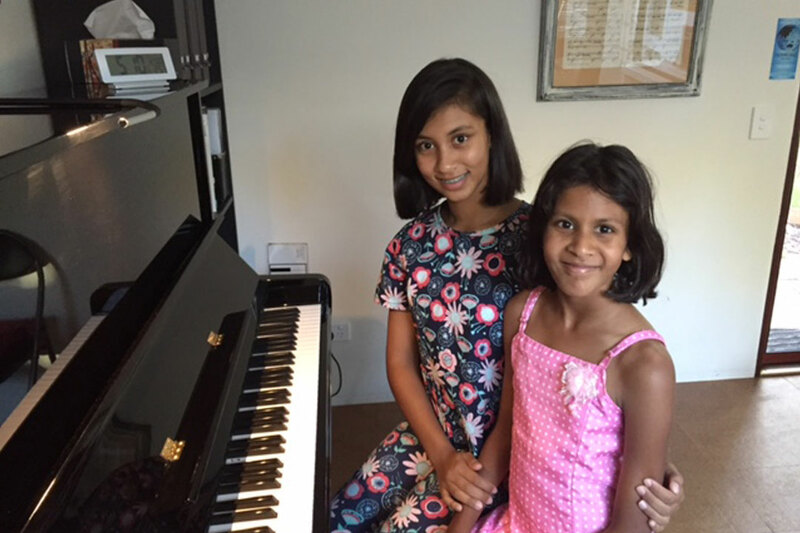 I like learning piano with Georgia because it is fun to learn a musical instrument, and she is very friendly and welcoming. Georgia makes harder songs into something easier to learn, and instead of focusing on reading music, we focus on playing. Nine years later it seems like I started playing yesterday. 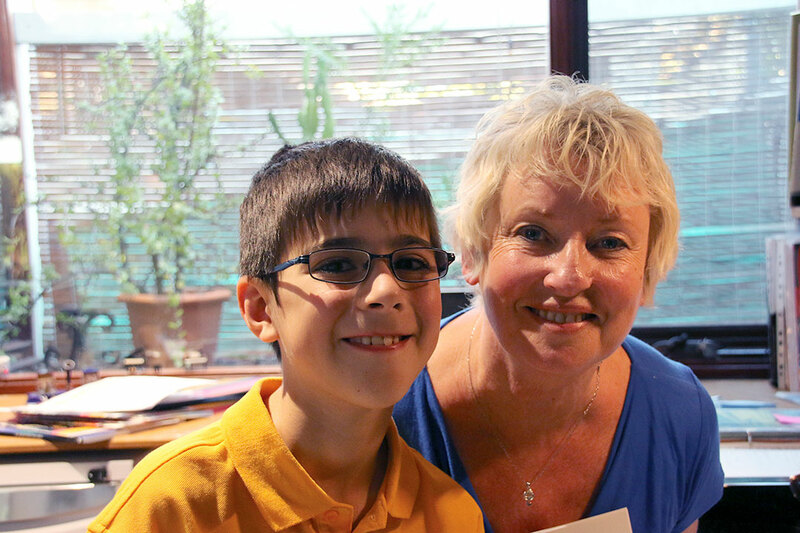 I started piano lessons with Georgia when I was 7 years old. My music teacher in primary school recommended me to Georgia for lessons because he thought I had potential. I suppose he was right! Now, nine years later it seems like I started playing yesterday. My son has been learning Simply Music for some time now, and has recently taken up the cello at school. 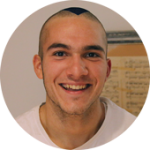 It is clear that the skills he has learned from Simply Music are helping him with his cello playing. He already has a good understanding of rhythm and a good understanding of the way music is constructed, the way it works together. He has begun composing on the cello because of what he has been doing on the piano. Simply Music has given him the confidence to experiment with music, to try new things to create, which I doubt he would otherwise have. Georgia and Simply Music have given our family a most rewarding time as we watch the boys develop their piano playing skills. This course has given us such satisfaction and I love playing alongside my boys as we learn. 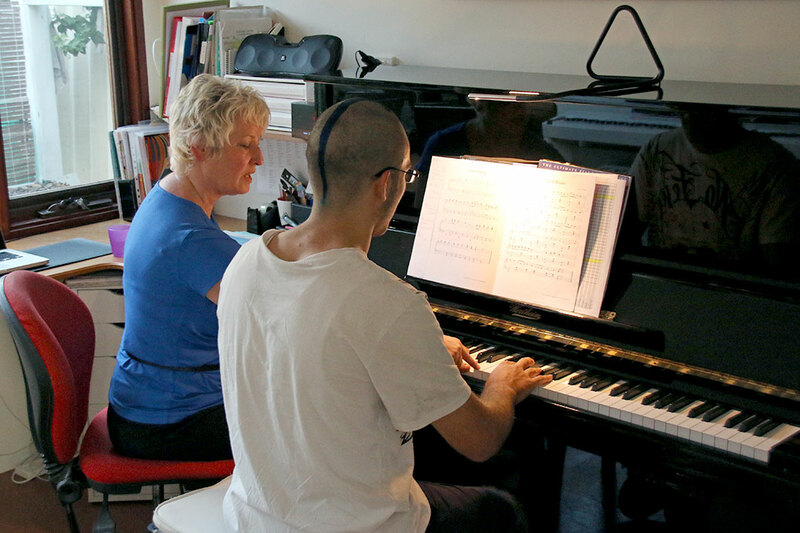 We are able to play duets, help each other out with our practicing and we encourage each other to do our best. 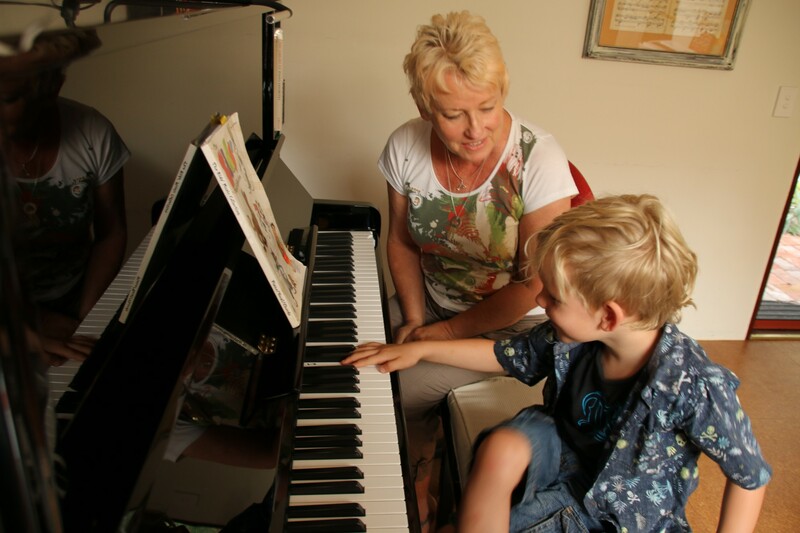 Georgia has understood the individual needs of each of my boys and provide them with the techniques to suit each of their approaches to learning to play the piano. Thanks Georgia - it's been a most wonderful experience for us to be taught by you. Georgia and Simply Music have given our family a most rewarding time as we watch the boys develop their piano playing skills. This course has given us such satisfaction and I love playing alongside my boys as we learn. We are able to play duets, help each other out with our practicing and we encourage each other to do our best. 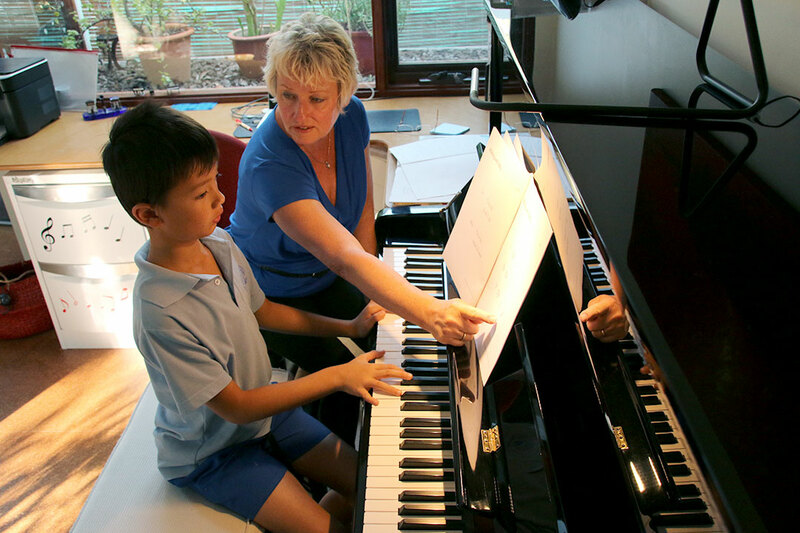 Georgia has understood the individual needs of each of my boys and provide them with the techniques to suit each of their approaches to learning to play the piano. Thanks Georgia - it's been a most wonderful experience for us to be taught by you. From Nick, Sean's Dad - Georgia has been teaching our 8 year old son from scratch for one year now. Georgia has a very friendly approach to teaching avoiding to put too much pressure on the young learner but at the same time motivating him to do his best and the result can certainly been heard. It is a pleasure to hear our son play a variety of different songs and styles, especially as he himself enjoys playing. From Sean - It’s fun! From Nick, Sean's Dad - Georgia has been teaching our 8 year old son from scratch for one year now. Georgia has a very friendly approach to teaching avoiding to put too much pressure on the young learner but at the same time motivating him to do his best and the result can certainly been heard. It is a pleasure to hear our son play a variety of different songs and styles, especially as he himself enjoys playing. From Sean - It’s fun! I like this way of learning because you can start playing songs straight away, and you can play on any ones' piano, without the need for a music book. 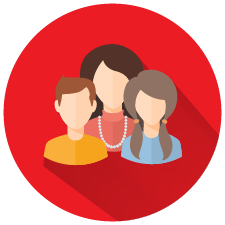 I like working in a group because the others can help you, its' much more fun, and you get used to playing in front of others. If you've ever dreamed of playing the piano, book your FREE introductory session and find out how easy it is to JUST PLAY PIANO! Whether you are a beginner or you've had prior experience, this program will have you playing more pieces than you ever thought possible, without music.